It's freaking December. Like when did that even happen? I’m sure you’ve gathered by now that I love Christmas. It was only right to share my favourite Christmas films. Obviously, how could this not be on the list. Probably not one everyone has heard of but I absolutely love it! Arthur flies all over the world on Christmas Eve to make sure a little girl gets the present she asked for. Yes it is a kids film, no I am not sorry. I’ve been watching this as long as I can remember. It’s a classic and I’ve got both the original and newer version (which is still about 20 years old). It’s definitely one to get in the Christmassy mood. Ok, this isn’t technically a Christmas film and I watch it all the time so Christmas is just an excuse to watch it even more. Such a good film. I do enjoy a happy ending. How could I not include this? It is such a great Christmas film and how can you not watch it? Serendipity is also a good film, all about fate bringing a couple together and it’s set at Christmas time (obvs). What is your all time favourite Christmas film? Two of my favourites on here!! Miracle on 34th is so good! I watch it every year with a bottle of wine and takeaway! 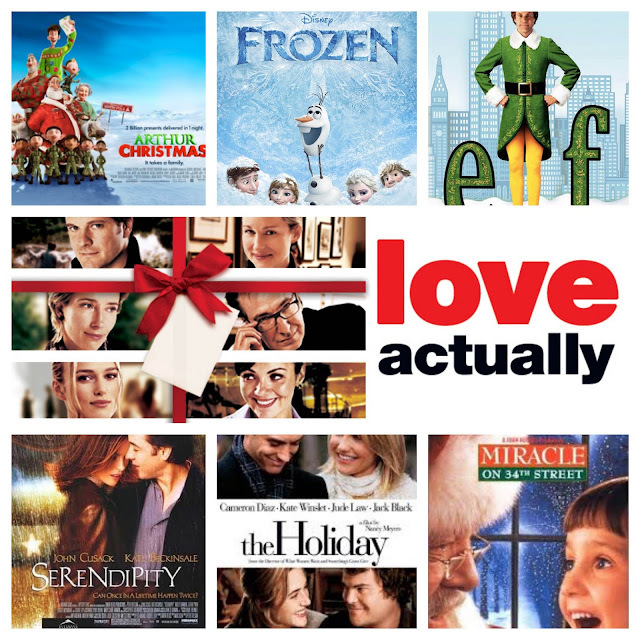 I love Love Actually too. Who doesn't want someone to turn up on their door step with cards telling them how much they love them!? Other favourites are Four Christmases, Christmas with the Kranks and Jingle all the way!